Three Dutch women have made it through Friday’s final of the Diving Cup, held in Eindhoven. Inge Jansen, Daphne Wils, and Celine van Duijn finished in 1st, 2nd and 4th place in the 3-metre springboard round. The women train weekly at Pieter van den Hoogenband swimming centre in Eindhoven. Lianne Steeman of the PSV Schoonspringen diving club also finished in 7th place. 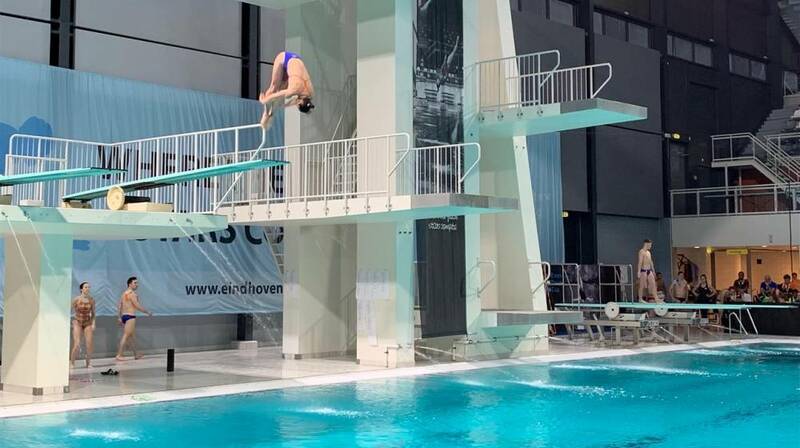 The Diving Cup competition runs until Sunday.